Casinos come and go, but one thing is for sure – the gambling industry is here to stay. The way people gamble, however, may be making some changes in the near future. Gaming revenues on the Las Vegas Strip have begun show signs of stagnation. Fewer people, namely Millenials, are venturing to Las Vegas, Atlantic City, and other casinos around the nation. 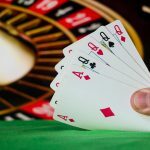 In order to revive the gambling industry in the eyes of it’s younger target markets, casinos are looking at the next big thing. Here are some of the trends to look out for in the future of gambling. Mindless lever-pulling at the slot machines are a thing of the past. New gamblers want more of a challenge. The newest generation of gamblers has grown up playing a wide variety of video games. From first-person shooters to multiplayer role-playing games, Millenials have played it all. 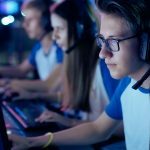 Professional video gaming, or eSports, is taking the world by storm with an expected revenue of over one billion dollars. Arcade-style gaming would allow friends to challenge each other and harness their video game prowess. Virtual reality and multiplayer options would broaden the scope of traditional casino games. New generations lack the same fervor for classic casino games as their parents and grandparents. Conversely, they continue to show similar levels of enthusiasm for sports. 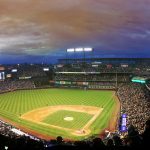 In the age of technology, getting baseball, basketball, and football predictions today for the ever-growing fantasy sports leagues around the nation has never been easier. Fantasy sports leagues are popping up everywhere. Friend circles, offices, and various online platforms are expanding the breadth of sports betting. Currently, sports betting is illegal. 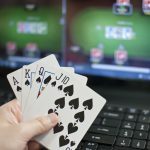 However, Congress is in the process of reviewing federal gambling laws and legislation regarding sports betting, online gaming, and other new-age forms of gambling. While still on the discussion table, most sports experts agree that it’s eventual legalization is inevitable. Online casinos made it possible to gamble from the comforts of your own home. Mobile gaming now makes it comfortable to gamble anywhere. Increased accessibility to gaming offers a huge boost for the casino industry. Players can access the casinos from any time or location. They can participate in multiplayer tournaments remotely. They can even pull bets directly from their credit card accounts. Online and mobile platforms also make it possible to introduce new and exciting features to gaming. Virtual reality is one such feature. VR and other technologies can make the online gaming experience feel more real. Perhaps the primary shortcoming of this trend is the imminent danger of hacking. Player accounts would need to guarantee the highest level of security in order to keep customers. Traditional forms of gambling such as slots are obsolete. The new gamer audience craves more than mindlessly pulling a lever or hitting a button. Flashy, interactive platforms and more hands-on, skill-based gaming is the future of the casino industry. Casinos who install these adaptations will thrive. Those who hold onto the classic forms of gaming may be left behind. Esports Live: Can the NFL Get Off the Bench?